Sebi orders Raju family, others to return 1,800 cr. 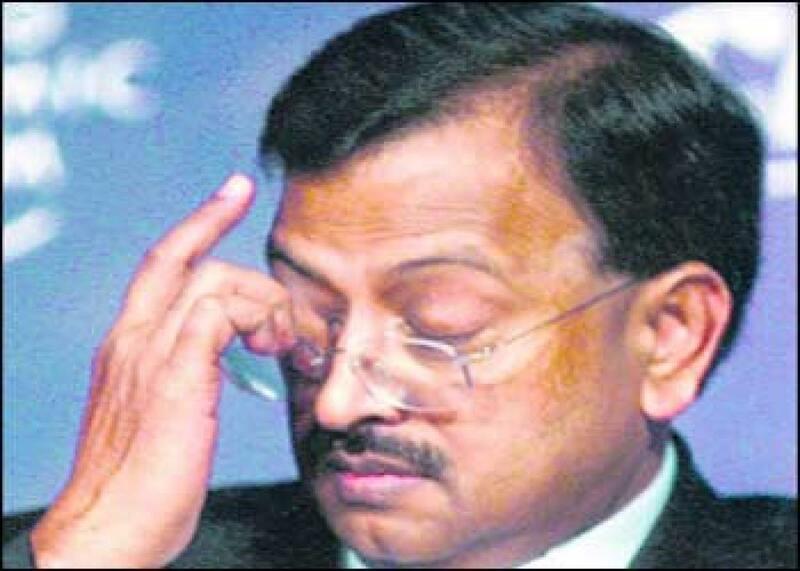 In a fresh order in the nearly seven-year old Satyam scam case, regulator Sebi on Thursday asked 10 entities linked to the main accused B Ramalinga Raju -- including his mother, brother and son -- to disgorge over Rs 1,800 crore worth of illegal gains made by them. Mumbai: In a fresh order in the nearly seven-year old Satyam scam case, regulator Sebi on Thursday asked 10 entities linked to the main accused B Ramalinga Raju -- including his mother, brother and son -- to disgorge over Rs 1,800 crore worth of illegal gains made by them. Besides, they will also have to pay close to Rs 1,500 crore as interest on the disgorgement amount, as the penalty has been levied with effect from January 7, 2009 -- the day Satyam Computer's founder and then Chairman B Ramalinga Raju admitted to a massive long-running fraud at the company. The latest penalties for insider trading follows an earlier disgorgement order passed by Sebi in July last year, wherein the regulator had barred Raju and four others from the markets for 14 years and also asked them to return Rs 1,849 crore worth of unlawful gains with interest. That order was against Ramlinga Raju himself, his brother B Rama Raju (then Managing Director of Satyam), Vadlamani Srinivas (ex-CFO), G Ramakrishna (ex-vice president) and VS Prabhakara Gupta (Ex-Head of Internal Audit). In today's order, Sebi has also fixed individual liability of Raju, his two brothers and other individuals and companies related to the promoter family. Those against whom the latest order has been passed include SRSR Holdings (controlled by Raju brothers), IL&FS Engineering and Construction (formerly known as Maytas Infra that was controlled by Raju and his two sons), Raju's mother B Appalanarasamma, his two sons -- Teja Raju and Rama Raju Jr, his brother Suryanarayana Raju, B Jhansi Rani (wife of Suryanarayana), Chintalapati Srinivasa (then Director of Satyam) and his father Anjiraju Chintalapati (since deceased), as also Chintalapati Holdings Pvt Ltd.
With regard to IL&FS Engineering and Construction (IECCL), Sebi however said it was neither an insider in Satyam Computers and Maytas, nor did it have access to the 'unpublished price sensitive information', and therefore it has been spared of any debarment action.